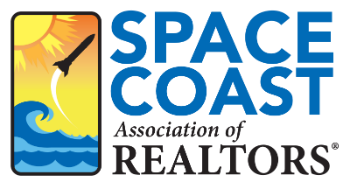 Real Estate Investment Analysis Made Easy 4 CE - Space Coast Association of REALTORS® Member Site. Thanks to this course, Realtors® no longer need to feel intimidated by Real Estate….gulp, Investment. Using simple math, students will complete this course knowing how to make an educated decision regarding whether to walk or whether to invest. Realtors® in this course will learn that what they assume to be a great investment could be nothing more than a money trap. On the flip side, they will also learn to recognize potential in what, at first glance, looks like an automatic pass. Residential or commercial, this course explains how to feel confident and make wise investments. By course completion, participants will be well on their way to using formulas and readily available information to discern exactly what they are getting into, or leaving behind. Bye-Bye intimidation! Objectives: Upon completion of this course, the student will be able to: Calculate cash flow, calculate cash on cash returns, calculate depreciation schedules, determine the suitability of a specific building for their purposes, forecast income, expenses and net income with market assumptions, differentiate between gross income, net income and net spendable income, create a running adjusted cost basis on a specific property given certain parameters, project equity increases based purely on loan amortization, list those issues about real estate investments that would concern "Risk Averse" investors, and compare a stock VS real estate purchase for investment analysis purposes.